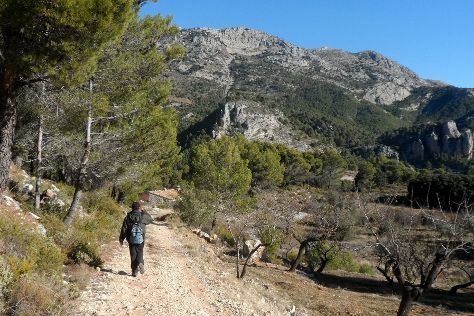 Popular historic sites such as Guadalest Valley and Palm Groves (Palmeral) of Elche are in your itinerary. Shop till you drop at Mercado Central and Kelly's Kitchen Homemade Food. Change things up with these side-trips from Denia: El Castell de Guadalest (in Guadalest), Alicante (Kiosco Alberto Monerris Sirvent, Santa Bárbara Castle, & more) and Playa La Granadella (in Javea). To find reviews, more things to do, where to stay, and tourist information, read Denia trip planner. If you are flying in from United Kingdom, the closest major airports are Alicante International Airport, Valencia Airport and Ibiza Airport. In September, plan for daily highs up to 32°C, and evening lows to 22°C. Finish your sightseeing early on the 17th (Sun) to allow enough time to travel back home.